As part of this course you will learn about arduino development boards, arduino environment and will implement arduino programming for developing your tracking system. 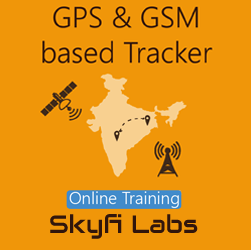 Roboversity GPS & GSM based Tracking course kit will be dispatched to you within 24 hours of enrolment. Use this kit along with the online portal to learn and complete the project based course. As you complete the course your project will also be completed. Module 1: How to track Vehicles? Module 6: How does GSM communication work? 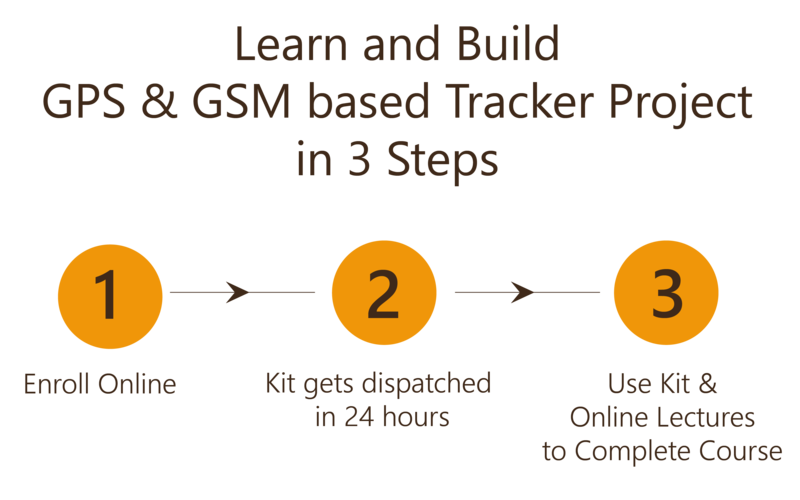 Roboversity GPS & GSM based Tracking course kit containing the following items will be dispatched to your address within 24 hours. One kit will be sent per team. Battery (12V) is required for this project. Shipping this item isn't possible due to the logistics issues. This item is easily available in your local market. Our team shall assist you in getting this item if needed.